kiri bath (pronounced keerie buth) literally translates to “milk rice” and it’s always served on new year’s day, but also on birthday mornings or other special occasions. 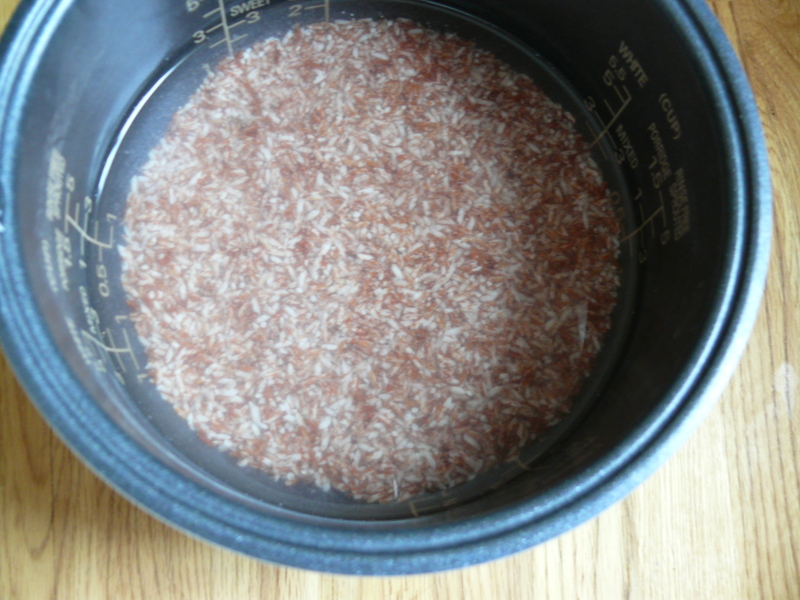 apparently the red rice that my parents use is not readily available, other than at south-asian stores. i took some home the last time i was visiting my family (like a young university student might!) and i haven’t actually sought it out myself. 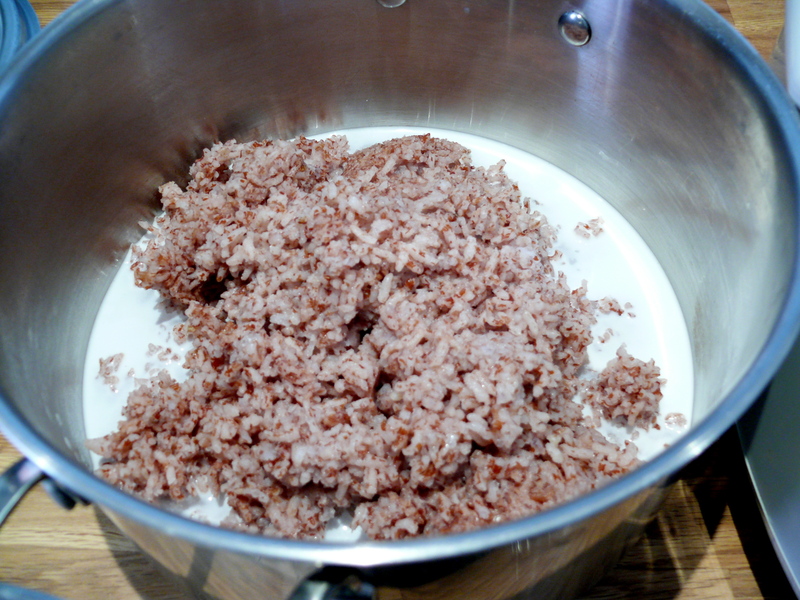 but kiribath made with short-grain white rice is just as delicious and the end result is even creamier. 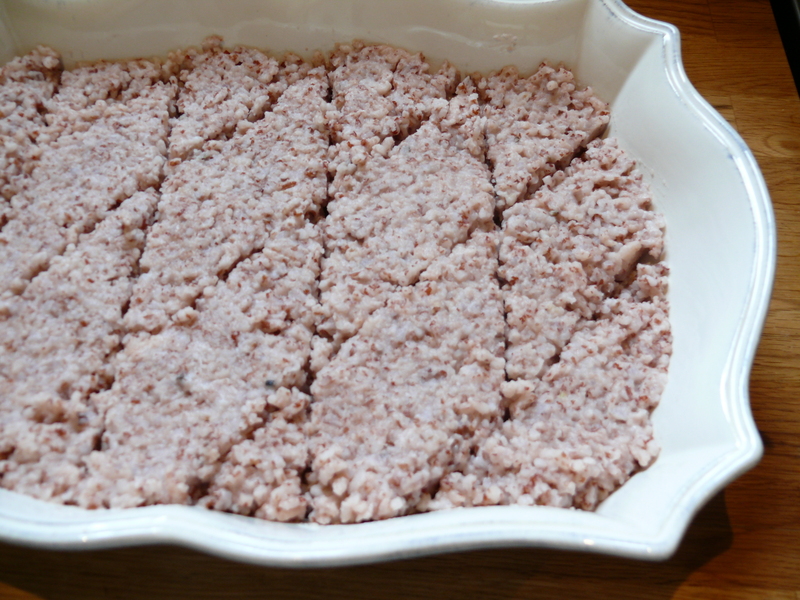 this is a savory dish to be sure, though it may remind you of rice pudding. and it’s served with curry or a spicy sambol or both. however, the coconut milk adds a sweetness to the dish, and it’s often accompanied with jaggery, a block of unrefined sugar, from which one takes small bites throughout the meal. instead of jaggery, my family eats this dish with bites of ripe banana. it’s a nice foil for the heat of the lunu miris or curry, and again, a little sweetness has a place here. it’s as simple as heating cooked rice with salted coconut milk until the milk is almost entirely absorbed by the grains. but you start with rice that is cooked with more water than you would normally use–about a cup more water for every 2 cups of uncooked rice. then add the hot rice to the coconut milk and cook over low heat, stirring frequently so that the rice doesn’t burn at the bottom. 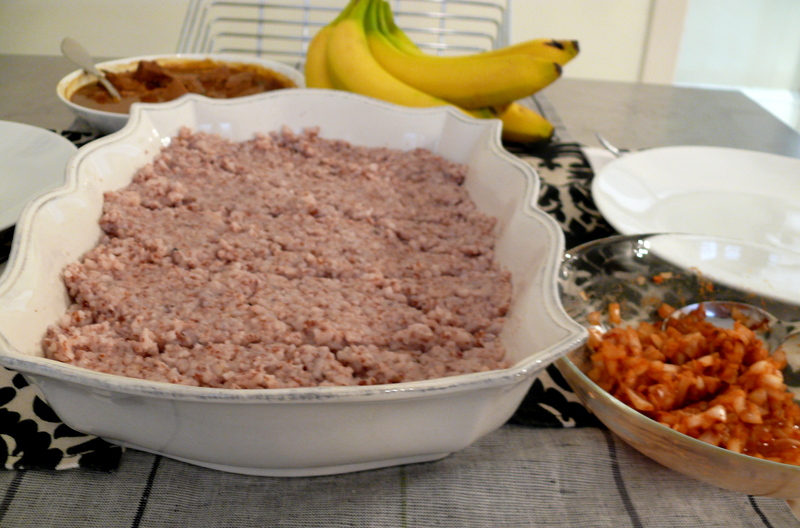 and when you mix the rice for a final time, it mounds and no longer slides back into a slushy pool. 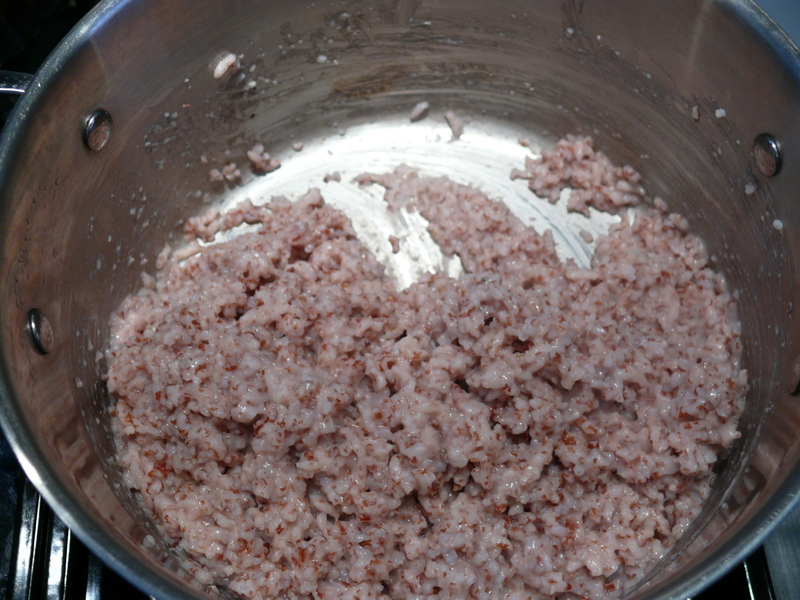 scoop the rice out into a shallow dish, smoothing it into an even layer. leave for a minute to set, and then cut into diamond shapes. 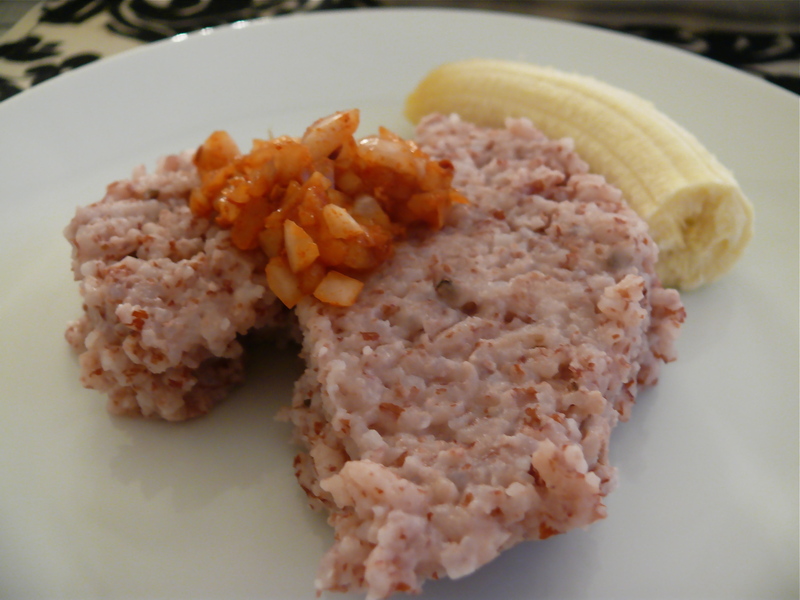 serve with lunu miris and a piece of banana for an auspicious and traditional sri lankan breakfast! in a small bowl, mix the lime juice and salt with the onion and set aside for 5 minutes. this helps to extract a little of the liquid from the onion which you want to mix into the juice. 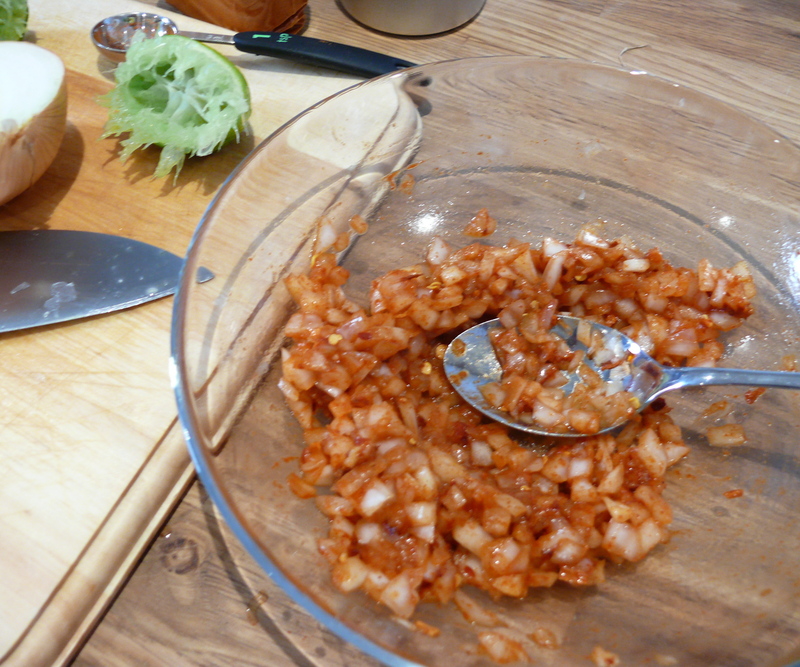 add the remaining ingredients, mixing well and mashing the onion slightly with the back of your spoon. 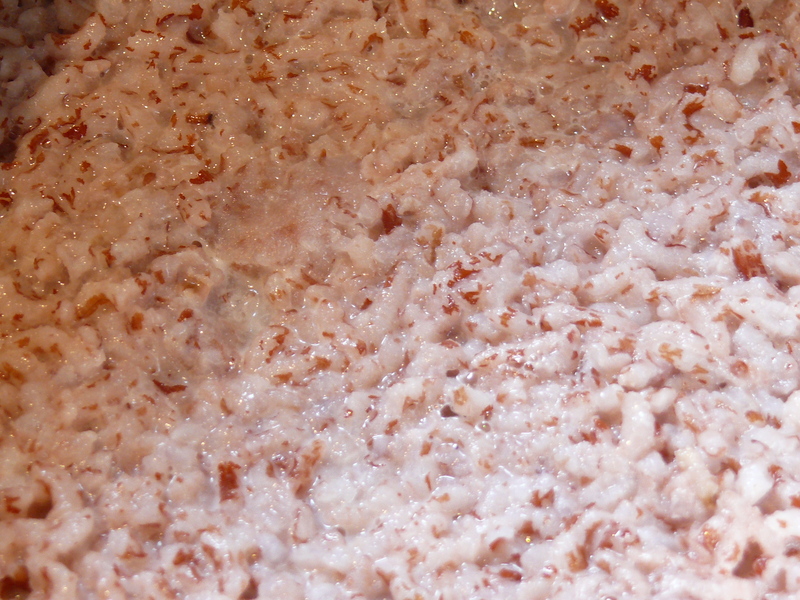 this softens the onion and helps to create the thin red paste. serve alongside kiri bath or rotis.